This personalised bottle of special London dry gin is a unique and individual gift for any occasion. Just add some tonic and a slice of lemon and enjoy the refreshing experience. 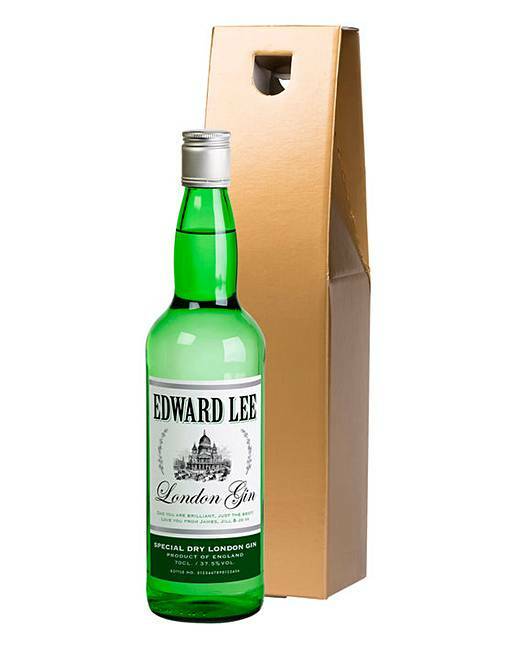 The bottle's label portrays a classic London scene and is boldly printed with the recipient's name. Your own personal message is also included. As the label is manufactured using special inks and paper it is highly resistant to water and scratches and will maintain its appearance as a reminder of the occasion. 75cl bottle presented in a gold gift box. Personalise with name up to 25 characters and message up to 35 characters (including spaces).